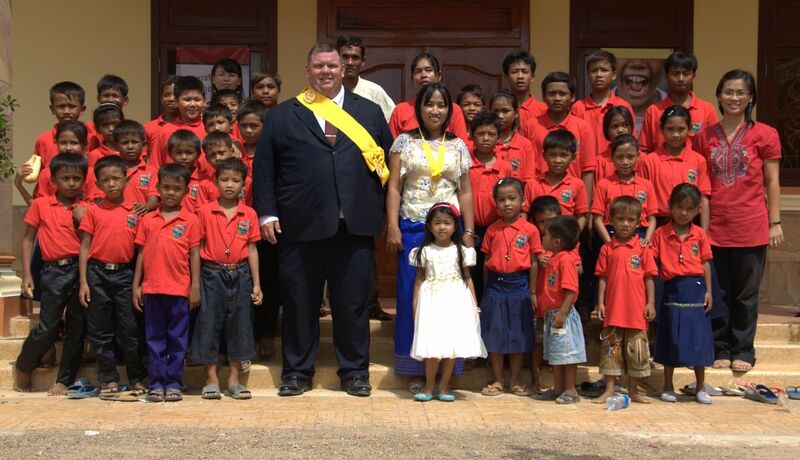 After nearly 18 months of exhausting work the new children’s center in Poipet, Cambodia was dedicated. The Deputy Prime Minister, Keo Kim Yan, was the one to officiate the dedication ceremonies along with Governor Oeung Oen, the Governor of Banteay Meanchey province. There were over 2,000 guests including members of the National Assembly, Senate, Military, Police, all provincial officials, business community, and organizations. Since its inception our desire was to include all government, local business people, international community and the community in meeting this need. On this day thousands of people involved came together to celebrate the dedication. In a great answer to prayer, I was able to share my heart to the officials in my speech at the ceremony without being nervous. My speech has been re-broadcast on nearly every national TV station over the last two days as well! 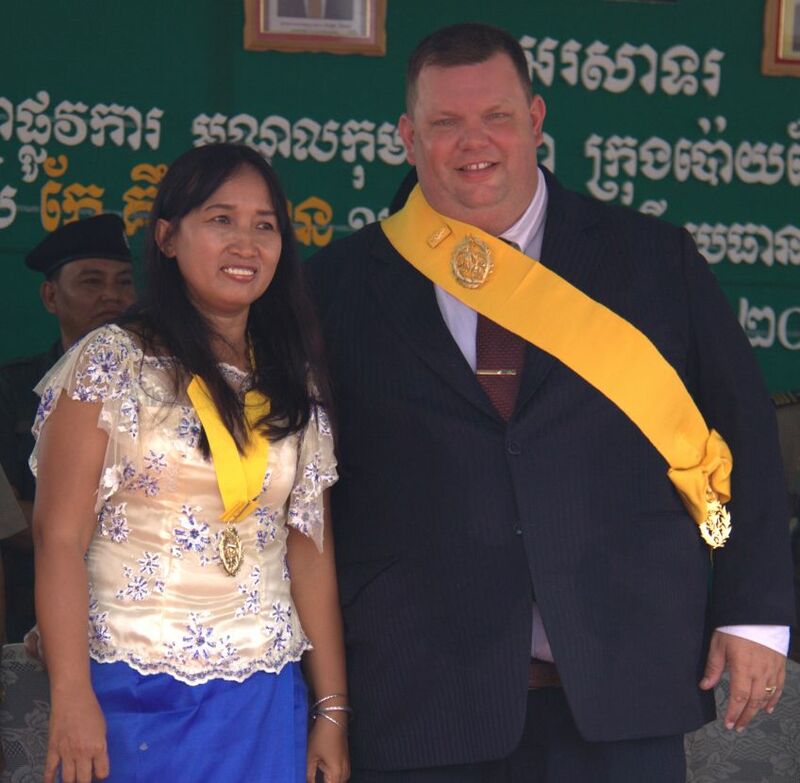 At the ceremony the Deputy PM presented Steve and Noit with Medals of Commendation from the Royal Government of Cambodia in appreciation for their hard work and sacrifice to help the children of Cambodia. The Deputy PM publically commended Steve and Noit and referred to them as “models” for the leaders of Cambodia to follow and emulate. The Deputy PM made a personal donation of 3 million Riel ($750) along with other donations of bicycles, beds, dishes, and chairs by other officials. The Deputy PM also called on other officials to use this center as a “Model Center” for the nation. At the center, apart from general education, we also teach the children English, computers, agriculture, and music which is all centered around the Word of God and character based discipleship. We are also hoping to start a crisis pregnancy center and kindergarten on the site as well in the near future. The need of children in Banteay Meanchey province is huge and both the Deputy PM and the Governor of Banteay Meanchey expressed their affirmation of our work and encouraged us to expand, promising the full backing of the Cambodian Government to give lands and expedite any assistance it could offer. Currently we are housing 34 children but we are prepared to take on more children immediately. The capacity of the center is 100 children. Immediate after the ceremony we were confronted by a poor mother who’s twin 10 year old daughters had been violently raped and asked if we could care for them, protect and counsel them. Immediately we agreed. We will also be taking in children (approximately 15-20) who were born to female inmates and have no place to care for the children. These kids, because they have no home, are being held in prison in the general population. There are still hundreds, if not thousands, of abandoned and orphaned children in this area as well. One of my goals is to be able to offer a daily lunch for malnourished children (up to 1,000 children). Along with the daily meal, we would include character based teaching each day. I am certain in only a short time we will see thousands of lives being transformed by such care to the community. 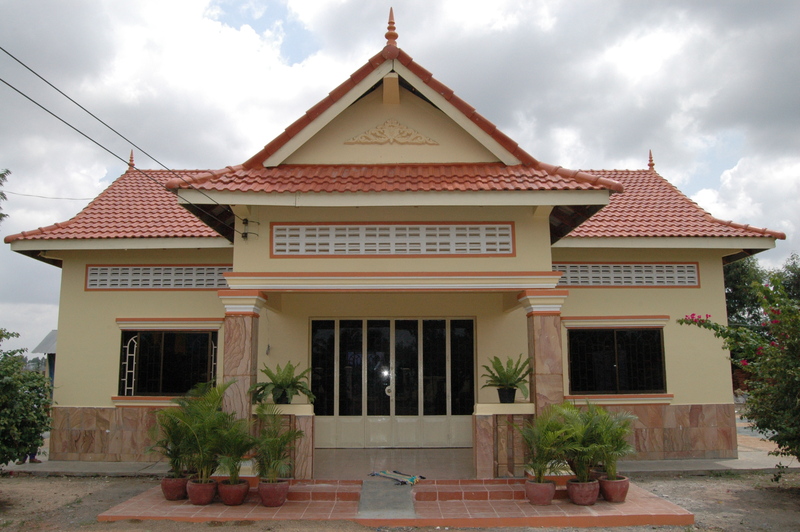 Please continue to pray for us and the new center in Poipet, Cambodia. We still need further assistance and are offering sponsorship of the children at $35 per month. At present, we have more than 70 children in Kracheh Province and 34 here in Poipet and the number will soon grow. We also need about 20 computers ($500 each), more bunk beds ($110 each), desks, chairs and other items as well. Congrats! This is an amazing witness not only in Poipet, but through out Cambodia and the rest of the world! Its so encouraging hearing about this accomplishment!